When these new rates are implemented, the American people should check their paychecks to see how much more of their hard-earned money they will keep. 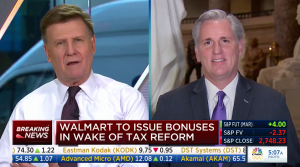 McCarthy appeared on CNBC’s Squawk Box this morning to discuss more good news for American workers because of tax reform signed into law last year. 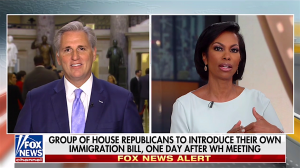 The President brought both sides and both chambers together, and he is trying to use what he is so good at, the art of the deal, trying to get an agreement here. This is about protecting babies who are born and alive, and nobody should be against that. Along with lower taxes and bigger paychecks, Americans can also expect to see the cost of heating and powering their home decrease as well.